May 2016 brought wildly mixed results at the box office. Moviegoers predictably flocked to Captain America: Civil War to the tune of a $179 million domestic opening, and The Angry Birds Movie flew past expectations to prematurely cut short the Marvel epic's reign at the top of the charts. Meanwhile, poor word-of-mouth (and an ill-timed scandal involving star Johnny Depp) turned Alice Through the Looking Glass into Disney's second consecutive Memorial Day weekend flop, after Brad Bird's Tomorrowland memorably failed last year. This month brings an even more jam-packed assortment of releases, including several high-profile sequels. Two years ago, the heroes on a half-shell returned to the big screen in a major way, earning nearly $500 million worldwide and ensuring the start of a new franchise for producer Michael Bay. However, in part spurred by Bay's involvement in the film and the casting of Megan Fox as April O'Neil, some fans found the revamped Teenage Mutant Ninja Turtles a bitter pill to swallow, despite it being the first live-action entry in the franchise in more than 20 years. However, there's reason to think that Teenage Mutant Ninja Turtles: Out of the Shadows might be able to course-correct the rebooted series. By the looks of it, the film is embracing the cartoonish elements of the title characters and imbuing the sequel with more energy and a lighter tone. Plus, there's the fact that director Dave Green (Earth to Echo) is finally bringing villainous characters like Bebop, Rocksteady and Krang to the screen for the first time ever, leading longtime fans to hold out hope that the new film may hew closer to the beloved 1980s animated series. Check out the latest trailer for Teenage Mutant Ninja Turtles: Out of the Shadows. The last time the guys from The Lonely Island collaborated on a feature film, the result didn't exactly light the world on fire. Back in 2007, Hot Rod -- directed by Akiva Schaffer and starring Andy Samberg and Jorma Taccone -- earned just $14 million at the box office, but all signs point indicate that Popstar: Never Stop Never Stopping will serve as a closer approximation to what fans would expect from the trio behind hits like "I'm On a Boat" and "YOLO". Structured as a musical mockumentary, the film takes aim at popular singers like Justin Bieber, with Samberg taking center stage as fictional pop star Conner4Real. When his sophomore album underperforms, Conner4Real (an early title for the film itself) must do whatever it takes to remain relevant. Since The Lonely Island's music is largely centered on satirizing the music industry, Popstar seems poised to take that comedic approach to the next level and may be the surprise comedy smash of the summer. Check out the latest trailer for Popstar: Never Stop Never Stopping. Although the history of video game adaptations has been mostly bleak, some fans still believe that this source material has the potential to yield some truly exciting projects in the near future. This year in particular appears to be a pivotal one for video game films, as both Warcraft and Assassin's Creed are set to arrive in theaters. However, before the latter can introduce mainstream audiences to the Animus, director Duncan Jones brings the fantasy world of Azeroth to the big screen. While Spider-Man director Sam Raimi was once attached, Jones ultimately took on Warcraft after a full decade of development. The film tells the story of the first encounters between humans and orcs and features a hybrid of live-action and CGI to bring the franchise to life. Jones previously delivered compelling sci-fi cinema with both Moon and Source Code, and fans are hoping that his storytelling prowess can seamlessly transition into fantasy, kicking off a potential franchise for game developer Blizzard Entertainment. 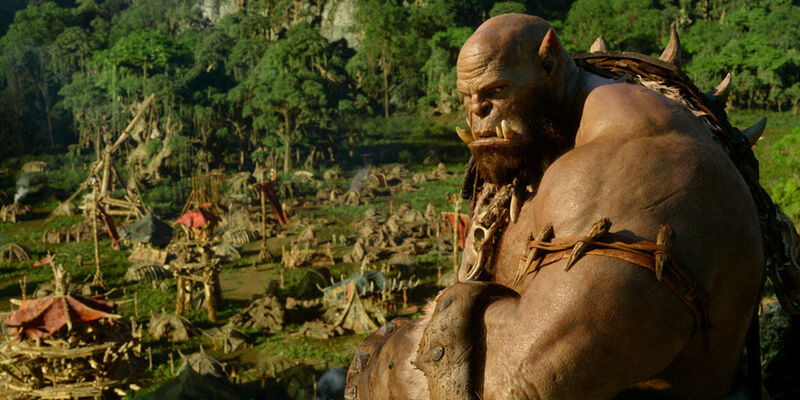 Check out the latest trailer for Warcraft. Despite a stellar ensemble cast, Now You See Me emerged as one of the biggest surprise hits in summer 2013, earning more than $350 million worldwide. Thus, few were surprised when the wheels started turning on a sequel that would follow the quartet of magicians known as the Four Horsemen (not to be confused with the ones from X-Men: Apocalypse) on to their second act. Original stars Jesse Eisenberg, Woody Harrelson, Mark Ruffalo, Dave Franco, Morgan Freeman and Michael Caine return for Now You See Me 2, which sees the Horsemen stage a comeback and get involved in another scheme. Though the sequel is unlikely to win over skeptics who failed to buy into the over-the-top illusions and convoluted twist ending of the first film, audiences willing to suspend their disbelief in service of an entertaining thrill ride could do far worse than director Jon M. Chu's (G.I. Joe: Retaliation) film. Check out the latest trailer for Now You See Me 2. In the last decade or so, filmmaker James Wan -- who's set to direct the upcoming Aquaman film for Warner Bros. -- has launched his fair share of franchises into the pantheon of modern horror. Mere months before the Saw director brought a sequel to his own Insidious to theaters, he scored big with The Conjuring, a film which managed to scare up $318 million worldwide as a throwback to old-school horror masterpieces like The Exorcist. Like its predecessor, The Conjuring 2 centers on paranormal investigators Ed and Lorraine Warren (Patrick Wilson and Vera Farmiga) as they take on another terrifying case. This time, the couple heads to the United Kingdom to look into potential poltergeist activity, and the story is based on the real-life Enfield Poltergeist case the Warrens tackled in the late 1970s. Although it remains to be seen if this sequel can maintain the standard set by the first film, all the pieces appear to be in place for The Conjuring 2 to be the rare horror sequel to live up to the hype. Check out the latest trailer for The Conjuring 2. Thirteen years have passed since Disney and Pixar's Finding Nemo won audiences' hearts with its charming characters, fun sense of humor and poignant themes. Since then, Pixar has become a wholly-owned subsidiary of the Mouse House, with several more indelible films under its belt. However, last year's pair of new releases -- the universally beloved Inside Out and under-performer The Good Dinosaur -- has created a bit of debate over whether Pixar may be heading for a creatively rocky period ahead. The fact that Finding Dory is only the first in several sequels Pixar has scheduled for the next few years may only further muddy the waters. Yet, the return of Ellen DeGeneres as the fan-favorite title character and the promise of a follow-up to arguably one of Pixar's most popular films may be enough to help Finding Dory become another winner for the studio at the box office. Here's hoping its story and laughs are as unforgettable as its predecessor's. Check out the latest trailer for Finding Dory. Since Dwayne Johnson and Kevin Hart already shared hosting duties on this year's MTV Movie Awards, fans already have a solid idea of the comedic chemistry the duo share. So Central Intelligence -- their new action comedy from director Rawson Marshall Thurber (We're the Millers) --should serve as a natural extension of the established rapport between the two actors. In the film, Johnson plays a federal agent who gets a high school friend (Hart) wrapped up in a high-octane adventure. With the two leads currently among the most in-demand stars working today, this pairing makes tons of sense from a business perspective. Luckily, the story -- which relies in part on the reversal of power in the two leads' dynamic since their adolescence -- looks to put both Johnson and Hart in the right place to make the most of their ample comedic timing. The broad appeal of its stars and buddy action comedies in general should provide an easy boost to Central Intelligence. Check out the latest trailer for Central Intelligence. Roland Emmerich's Independence Day had a ton of pre-release buzz building long before it finally arrived in theaters. The film went on to skyrocket to ground-breaking success, earning more than $800 million back when such figures were incredibly rare. It was a bonafide pop cultural phenomenon on multiple levels and even catapulted Will Smith -- who had yet to headline his own films -- to superstardom along the way. Fast forward 20 years later, and Independence Day: Resurgence is finally set to hit theaters following years of will-they-or-won't-they development. While Smith is notably absent, several of the original cast members -- including Jeff Goldblum and Bill Pullman -- reprise their roles alongside franchise newcomers like Liam Hemsworth and Maika Monroe. The question is whether Independence Day: Resurgence can recapture the appeal of its predecessor and become this year's Jurassic World. We'll know soon enough. Check out the latest trailer for Independence Day: Resurgence. Few filmmakers working today are as divisive among moviegoers as Nicolas Winding Refn. The filmmaker behind Bronson, Drive and Only God Forgives has been behind several films that -- depending on who you ask -- are either instant classics or overrated disappointments. In either case, The Neon Demon, his latest release, appears to be eliciting a similarly split response from critics. Elle Fanning (Maleficent) stars as a young woman who gets caught up in the Los Angeles fashion world and soon finds herself playing a very dangerous game. Described as a psychological thriller, the film sounds like it might take a Black Swan approach to its setting, extrapolating out the pressures of a particular industry into something far more terrifying. Regardless, The Neon Demon -- which also stars Keanu Reeves and Christina Hendricks -- should be a fresh addition to the blockbuster films coming out this month. Check out the latest trailer for The Neon Demon. Ever since the "McConaissance" reached critical mass with his Oscar win for Dallas Buyers Club, Matthew McConaughey has demonstrated little interest in letting his career cool down anytime soon. Sure, two years may have passed since the actor last headlined a major theatrical release (Christopher Nolan's Interstellar, for the record), but Free State of Jones seems like as good a project as any to mark his return to the big screen. The film -- directed by The Hunger Games filmmaker Gary Ross -- centers on the real-life story of former soldier Newton Knight (McConaughey), who established a mixed-race community and led a rebellion against the Confederacy during the Civil War. Historical dramas have a mixed track record of success, but the engaging nature of the story at hand and the stellar supporting players (e.g., Gugu Mbatha-Raw, Mahershala Ali, Keri Russell and Brendan Gleeson) should lend McConaughey's star vehicle a hand as counter-programming to its larger competition. Check out the latest trailer for Free State of Jones. Despite having appeared in a number of films (including alongside her now-husband Ryan Reynolds in Green Lantern), Blake Lively has yet to land a big-screen role that has helped her deliver a star-making turn. In hindsight, films like The Town and Age of Adaline could be viewed as stepping stones in leading the former Gossip Girl star in that direction. However, it could very well be The Shallows that finally does the trick. In the film, Lively stars as a surfer who becomes trapped on a rock 200 yards from the shore after surviving a shark attack. As the creature lurks, she must figure out a way to make the swim back to safety. The micro-level scale of the film -- directed by Jaume Collet-Serra (Non-Stop, Orphan) -- is such that its success will depend greatly on Lively's ability to command the screen. With any luck, The Shallows could be the next Open Water and emerge a sleeper hit this summer. Check out the latest trailer for The Shallows. The weeks ahead are brimming with options for moviegoers looking for thrills and/or laughs at their local theater. It's anyone's guess which films among these will connect with mainstream audiences and which will fall flat, but we're dying to find out how well they tackle their respective stories and, in the case of sequels like Finding Dory and Independence Day: Resurgence, whether they can match years of anticipation among fans. Of course, we're anxious to hear which films you're most excited to see this month. So be sure to share your picks in the comments section below.